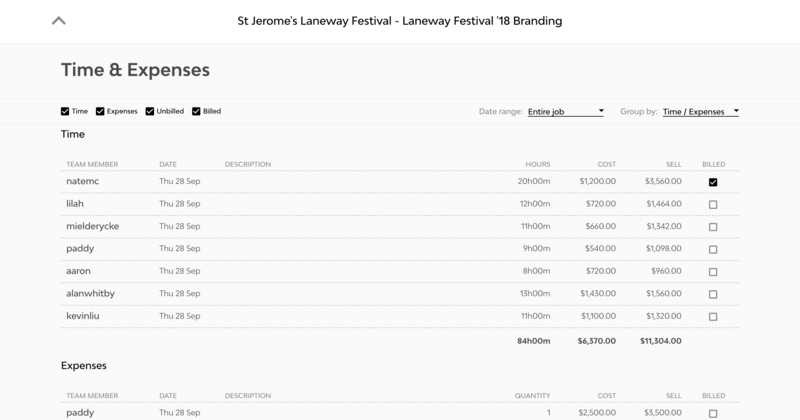 A lot of agencies tend to invoice at different stages of a job. This means that as the job is worked on, it contains a combination of billed and unbilled time and expenses. To see a breakdown of the time and expenses on a job, and their billed / unbilled status, just click on Used / Planned on the job card. This will bring up a list of all time and expenses recorded against that job. 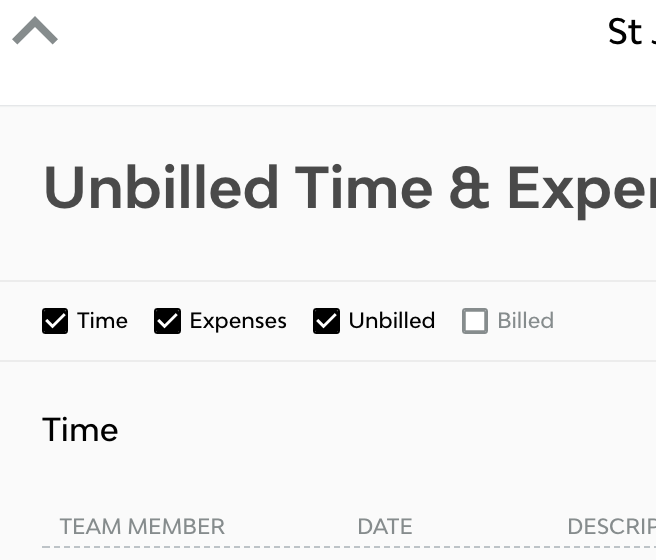 The tick box under the Billed column indicates whether or not that time or expense has already been billed. Use the tick boxes above the list to refine your list. 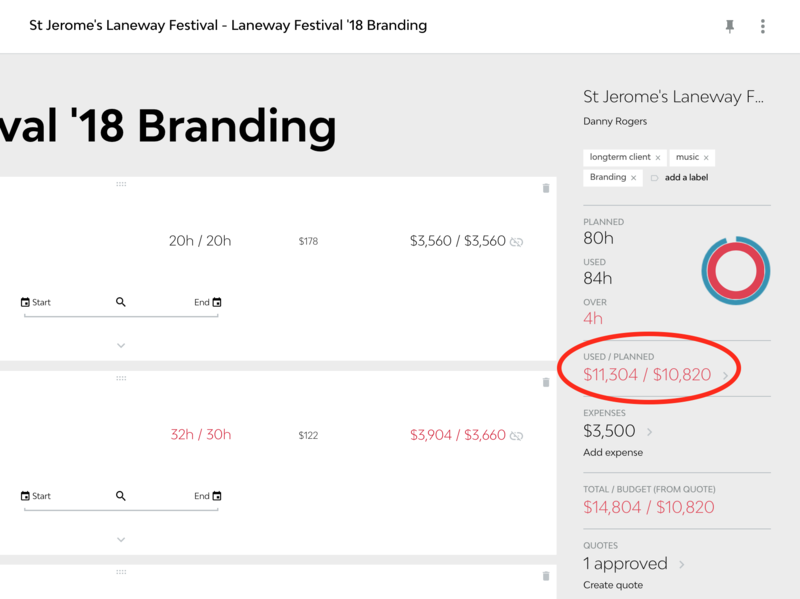 To see only Unbilled Time and Expenses, you'll want to ensure that Unbilled, Time and Expenses are all ticked, and that Billed is unticked. You'll notice that Streamtime automatically updates the name of your list based on which options you have selected to see. Creating an invoice from your unbilled time & expenses is easy, and can be done from this list. 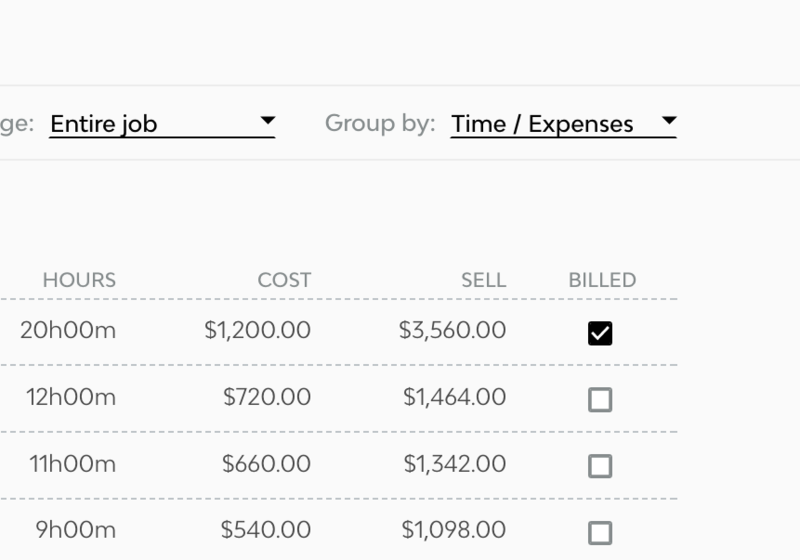 Once you have refined your list to show the time and / or expenses you wish to bill, just head to the bottom of the list where you'll find the Create Invoice button beneath the totals.